"These are real world card tricks from my own personal repertoire." Want to take your card magic to next level? Where do you go and whom do you learn from? The answer is definitely to go to the very best on planet earth, World Champion of Card Magic, Shin Lim. Shin Lim is referred to as the #1 sleight of hand artist in the world. Most of all, Shin Lim has been bestowed the title of "World Champion of Close-Up Card Magic" by his peers and the world. Shin has handpicked the very best card tricks from his personal repertoire to be shared on this tutorial. By the end of the course, you will go from an absolute beginner (or amateur) into a Card Dragon Slayer. Slay your audiences with your new profound skill. 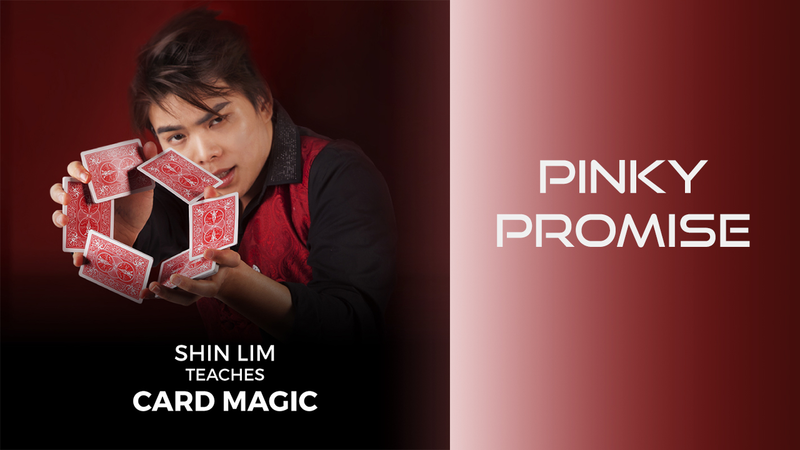 Shin Lim will guide you from the fundamentals of card magic and slowly turn you into a Card Pro in no time. Each trick featured is structured in a way such that these very important, fundamental techniques in card magic will become second nature to you. Furthermore, these techniques will encourage you to further expand your creativity to create new variations/tricks for your own personal repertoire. Bear in mind, these are not your grandpa's locator card tricks. The tricks taught on this course are real world, audience-tested card tricks performed by Shin Lim himself. So download this video and begin learning card magic from a real pro.